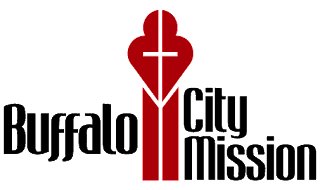 CLARENCE -- Throughout November and December, The W Spa will be collecting donations for the Buffalo City Mission in order to help their love and kindness extend beyond their cozy spa. “The Buffalo City Mission has been a place I helped serve with my parents in my youth. We would get into the Red VW EuroVan, and drive to the grocery stores in, Clarence, Williamsville and Amherst, and drop all the food we collected.” stated spa owner, Andrea Wawro. While they are collecting all non-perishable food and used clothing donations, they are stressing the need for new underwear! One person needs at least 5 pairs of underwear to make it through the week and there are times when people come to Buffalo City Mission with nothing so The W Spa is strongly encouraging people to donate new underwear if possible. For both new and existing clients, The W Spa will be giving them a $5 off to use towards any one product or service. This is not to be combined with any other offer or promotion. The W Spa’s main hope is to make this more than just another offer. Their goal is to give back to their community and inspire their clients to get involved too!